NOTE: Dances for 2017 have not yet been scheduled. 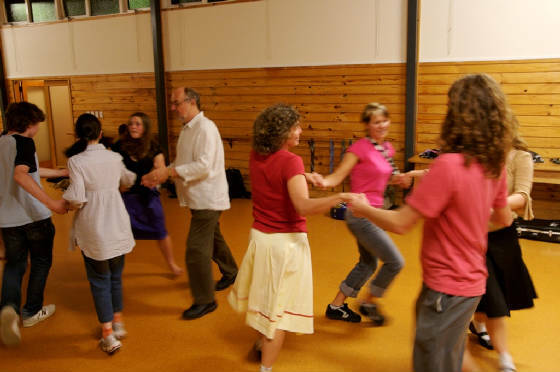 Options are being explored but the monthly dances at St. Michael's are unlikely to continue. Once a new plan has been adopted it will be posted here. 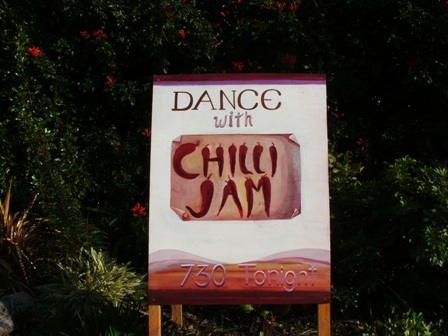 Each month Chili Jam holds a Contra Dance at Saint Michael's Church Hall in the Wellington suburb of Kelburn. The steps are easy walking steps and involve simple figures ( do-si-do, balance & swing, circles, and stars). Dancers of all ages and ranges of ability, from complete beginner to highly experienced, join in the fun. It's a great way to meet people. Dancers switch partners often and many dancers come to the dance without a partner. 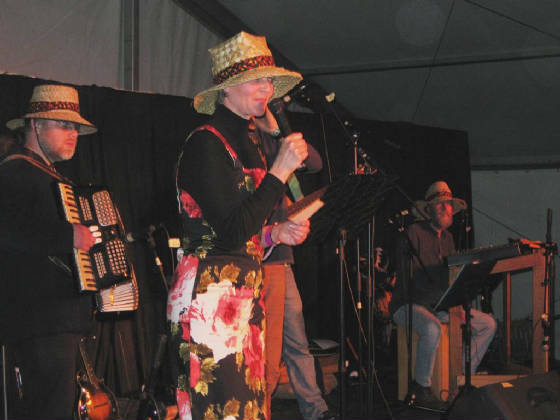 Chilli Jam is composed of musicians from diverse musical backgrounds who play and jam on swinging Contra tunes with Celtic, Old Time, Balkans, Jazz and other influences. 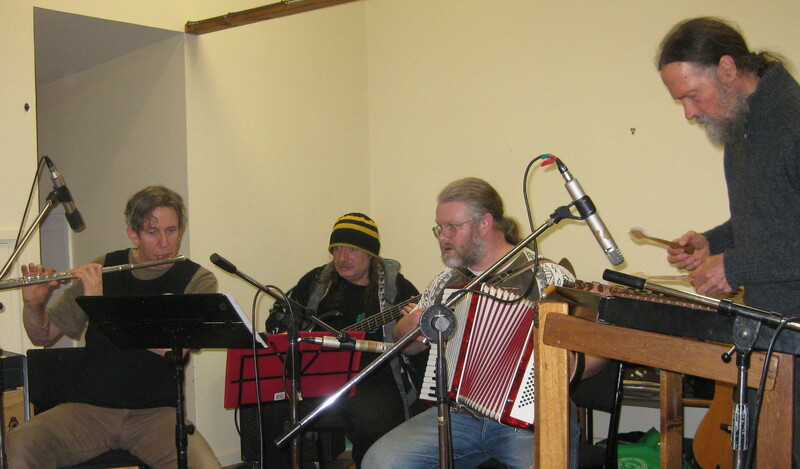 Visiting musicians are often invited to play along with the band. The dances are called by Cashy Yates, Jamie Cook ad others. Schedule for 2016 dances. Note: All dances are on the 4th Saturday of the month, with the exception of October. 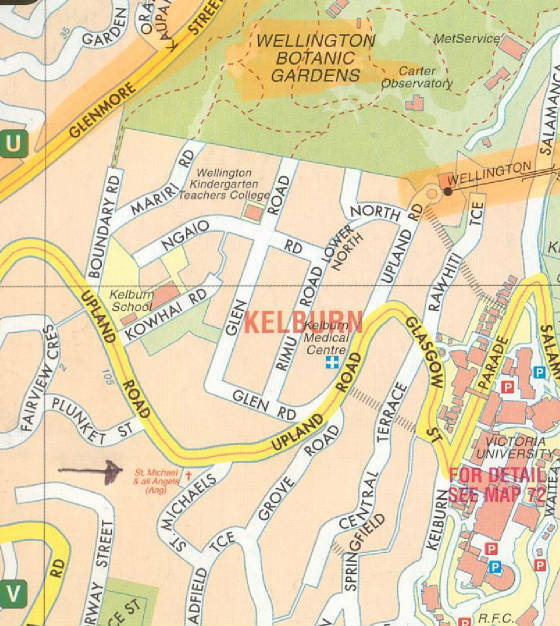 The dances are held at St. Michael's Church Hall in Kelburn ( see map below), starting at 7:30 pm, and usually end by 11 pm. There will be a light pot luck supper about half way through the evening. Dances usually finish by 11 p.m. Cost is $5 child, $10 student or unwaged adult, $15 waged adult and $30 for a family. To be added to the email list send an email to mlsavage@paradise.net.nz or contact Mike at 022-164-6846.